Facebook Connect and Google Friend Connect are two ways in which you today can add social content to your gaming portal and you can also use it to publish information on social networks. I believe that we will see this on gaming portals within a year or so. It will be especially good when players can user their Facebook (or other social network accounts) to register and login to your gaming portal. They only have to remember one login and the player can allow you to publish personal information on the gaming portal, for instance their friends list, photos and much more. This will add content to your portal without you having to build that functionality. It is there for you to use and publish! 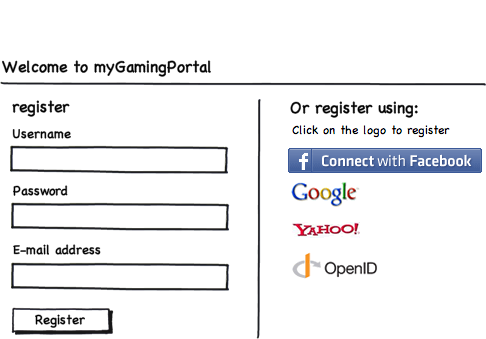 You will be able to create a more social gaming portal. This is also also another way for you to communicate with your players and find new players among your players friends. I know that many gaming operators today use Facebook, Twitter and other social medias to communicate with their players so this is just the next step!